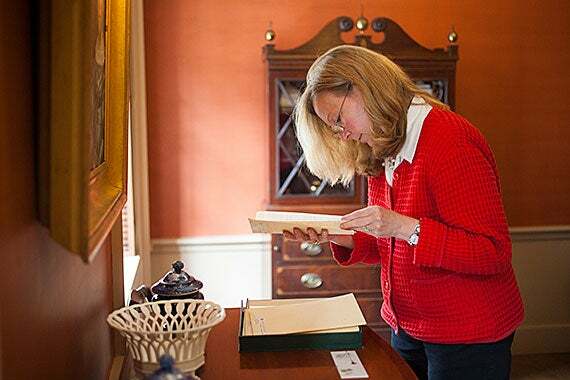 Standing in the Emily Dickinson Room in Houghton Library, Leslie Morris (pictured), is the Emily Dickinson Archive (EDA) general editor. Two years in the making, the EDA is a collaborative project of Harvard University Press and a growing number of repositories that own examples of Dickinson’s original work. What if those manuscripts were the very ones Dickinson hesitated to publish in her own lifetime, or — in bursts of cheerful immodesty — delivered to friends with fresh gingerbread or a bouquet of flowers? What if that archive revealed, in every variant, all of her known poems? And what if it showed the world how her handwriting began to slope and sprawl as she got older, and that she sometimes wrote poems on old bills, paper bags, or the backs of envelopes? Dickinson can’t answer such questions. But her poems keep speaking, and her readers keep listening and interpreting her timeless celebrations of wit, observation, and the fragile ecstasies of the natural world. 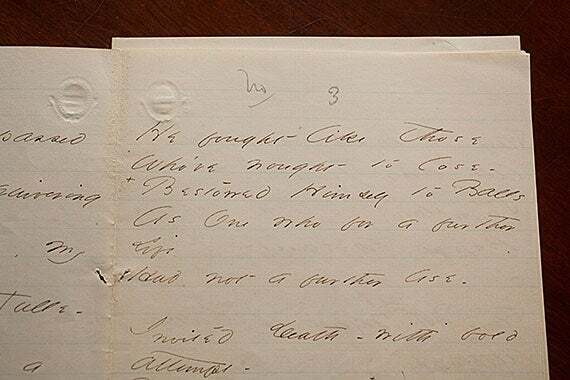 Interpretation will be easier with the new Emily Dickinson Archive (EDA), which goes online today at edickinson.org. The EDA is an open-access digital archive, available free to anyone. 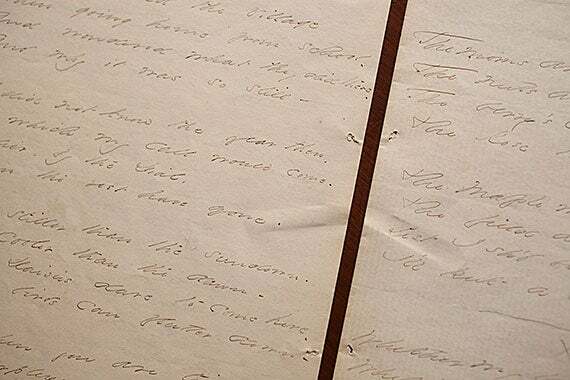 It collects many surviving manuscripts of the slight, shy poet who once called herself — with considerable irony — “the Belle of Amherst.” Scholars and readers will be able to compare one manuscript with another; previously, they were separated by institutional divides. A ribbon and a rosebud grace this manuscript page from Dickinson, who treated some of her poems as one-off works of art. Dickinson’s early writing was neat and linear as she made fine copies of her poems to stitch into “fascicles,” or little books. Dickinson’s later handwriting was looser and larger, with wider spaces. An earlier Dickinson manuscript, unbound from a fascicle Dickinson created. The dashes in this manuscript are a feature of Dickinson’s composition style much studied by scholars. They can slant up or down or be long or short. 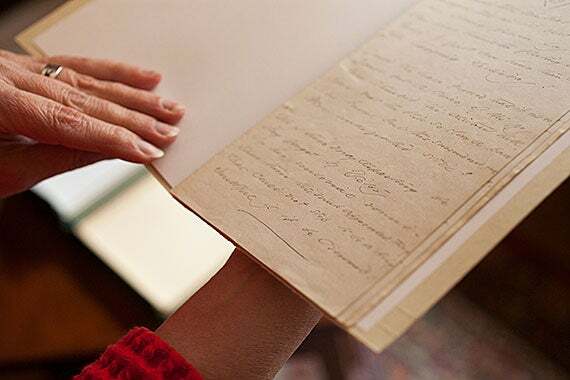 Houghton’s Leslie Morris, general editor of the Emily Dickinson Archive, studies a manuscript page. “It’s a different experience to see everything integrated,” said EDA general editor Leslie Morris, curator of modern books and manuscripts at Harvard’s Houghton Library. Two years in the making, the EDA is a collaborative project of Harvard University Press and a growing number of repositories that own examples of Dickinson’s original work. The biggest are Houghton Library, Amherst College, and the Boston Public Library. Houghton contributed 1,820 manuscript images to the EDA, Amherst put in 1,670, and the Boston Public Library 643. The next-biggest contributor, with 45 images, is Yale’s Beinecke Rare Book and Manuscript Library. To put these numbers in perspective: There are 1,789 known Dickinson poems. But that number is still “fluid,” said Morris, because additional poems may be in private hands, unexamined. Bringing the EDA’s collaborating institutions together sometimes required overcoming wide-ranging jealousies of ownership and presentation that themselves dated back to the 19th century — “an immensely complex task,” said EDA board member Marta Werner, a Dickinson scholar at D’Youville College in Buffalo, N.Y. Some scholars politely disagree. “Archives are not neutral spaces,” said Werner, “and the presentation of documents is to some degree interpretive.” But she praised the broader mission of the EDA, its “stunning” color images, its zoom feature that allows scholars to peer at stab binding holes and other manuscript oddities, and the digitally enhanced ability to compare one edition’s text with another’s. “Morris was far-sighted enough to see this future, and to move us closer to it,” said Werner. Cristanne Miller, a Dickinson specialist at the State University of New York at Buffalo and an EDA board member, called the archive “an extraordinary gift to Dickinson scholars, teachers, students, and general readers around the world.” There is debate over how to read the manuscripts, but “these are the poems as Dickinson left them to us,” she said, complete with an “aura” of the author and clues to the puzzle of how she constructed a poem. In 1955, HUP published “The Poems of Emily Dickinson,” edited by Thomas H. Johnson. Though many of the poems had appeared somewhere in print by 1945, this work was the first attempt at a comprehensive collection. “The Manuscript Books of Emily Dickinson,” edited by R.W. Franklin, followed in 1981. 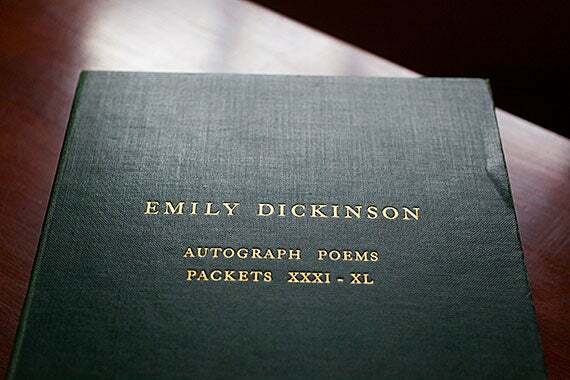 It revealed to the world more than 800 poems bound into 40 “fascicles,” hand-sewn books Dickinson made to bring order to her writings. Most were dated by him from 1858 to 1864. In 1998, HUP published Franklin’s three-volume variorum edition of “The Poems of Emily Dickinson,” a work that includes the poet’s alternative readings, revisions, and variants. The Franklin and Johnson texts are the scholarly fundament of the EDA, a textual feature of the site that Werner and others hope will be expanded. But the EDA also includes the complete text of four editions of her poetry in the public domain, books that show, beginning in 1890, how Dickinson was first presented to the public. The heart of phase two would include digitized Dickinson letters; 1,049 are known, with 99 correspondents. (Smith speculated that as much as 90 percent of Dickinson’s correspondence is lost, and with that poems that will never see the light of day.) A phase two would also link to other modern Dickinson collections, expand metadata, and add online image-navigation tools. If there is a phase three for the EDA, it might focus on Dickinson artifacts, Morris said. Houghton owns the poet’s teacups, along with her tiny cherrywood writing desk and much of her library. 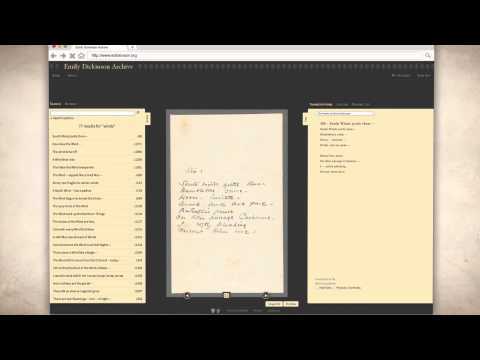 Meanwhile, visitors to edickinson.org can use the zoom function on poems, call up scholarly annotations, compare transcriptions, download images for free (as long as credit is given to the right repository), and sign on to take their own digital notes. For now, such annotations would remain private. Elsewhere at Harvard, curators are experimenting with the idea of shared annotations that might create communities of online scholars, both professional and amateur. One example is the Oliver Wendell Holmes Jr. digital suite at the Harvard Law Library. But that would be the future. 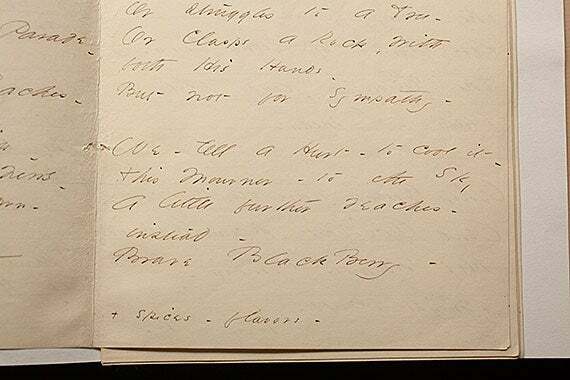 Viewers of the EDA also can search the texts of poems, either by first lines or by typing in one of the more than 9,275 words Dickinson employed. Contemporary meanings of each word are available by incorporating the work of another partner, the Emily Dickinson Lexicon at Brigham Young University. But following her death in 1886, conventional publishing was the means at hand. A first volume of her poetry appeared in 1890, touching off a rush to print more, in 1891, 1896, 1914, and onward. It’s that enduring drive to know Dickinson better that the EDA is trying to capture. If the “technologies” of the poet’s later manuscripts were domestic, so were her sensibilities. Dickinson willingly shut herself into a house, but it wasn’t the closet metaphor of her childhood. It was a place that made possible quiet engagement with the natural world around her. 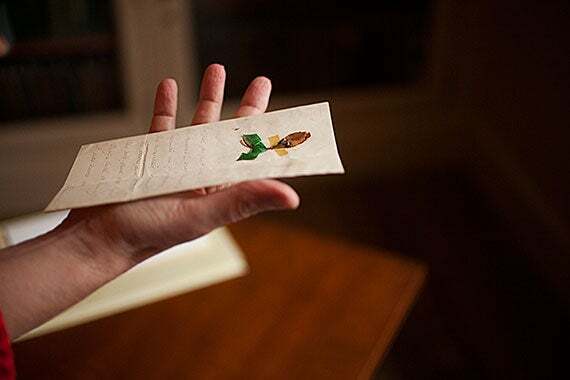 With Dickinson gone, and only her manuscripts left to represent her, scholars and all can only peer through green slats again — not quite seeing, but doing so with joy. It's believed that Thutmose (photo 1) was the artist behind the bust of Queen Nefertiti. This research is a testament to the academic interest of French Egyptologist Alain Zivie, who came to Harvard to present "Discovering the Egyptian Queen Nefertiti's Artist: The Tomb of Thutmose at Saqqara" (photo 2). Zivie discovered Thutmose’s presumptive tomb in 1996, which is depicted in a rendering (photo 3).